All along, I had a certain fascination on mini velo, they look really small and are designed to go longer distance as opposed to a BMX. To put it simply, they are in my best description described as non fold-able folding bicycles. My interest in the MV8 waned or increased depending on how much I looked at it. Just recently, I started work in Central Singapore and thought about commuting by bicycle as it was faster, and a great way to get a workout. Working in an industrial area made it crazy to ride my merida to work and my thoughts went back to the MV8. Managed to get it and as of now, I done roughly a day’s worth of commute roughly 30km shuttling back and forth places. The MV8 costs roughly the price of the wheelset on my Merida (Fulcurm Racing Quattro) To be honest, I did not expect much from the bike, given the cost of it, but still I am pleased at the package offered by Raleigh. They skimmed on certain parts but to me, the highlight of the bike is that they somehow managed to spec a branded (Shimano Claris) rear derailleur. I wanted a dropbar version of the bike due to the variety of holding postions avaliable on the bar. I stripped my old road bike and transferred the cockpit as well as the saddle(which gives me the option to mount the fizik saddle lights. After a few hours of tinkering in the bike shop, the final product came out well, to my expectations. I was surprised to find that the frame came with internal cable routing,a feature that is found instead on most of the road bikes on the market nowadays instead on a S$400 bike. I accdentally pulled out the whole cable and housing while re cabling to the tiagra shifters, putting everything back though was a hassle and best done by a bike shop. The frame and fork offers a variety of mounting points should you decide to upgrade. 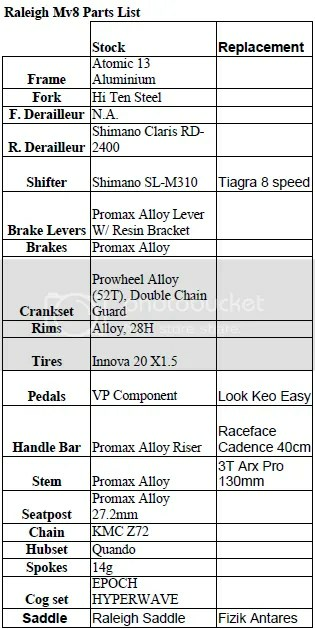 For brakes it offers, V brake, Disc Brake(edit: was advised that the mounting points are actually for fenders) and Caliper brakes. It offers a variety of mounting points for fenders and racks as well. The bike however has a pretty standard geometry, ( I only measured the top tube which was roughly 52cm) it is relatively long compared to its wheels. It’s wheelbase is super long compared to other bikes that I ridden and it gives a very cushy feel. Huge rear triangle is not very stiff coupled with the seat tube gives it a very comfortable ride. 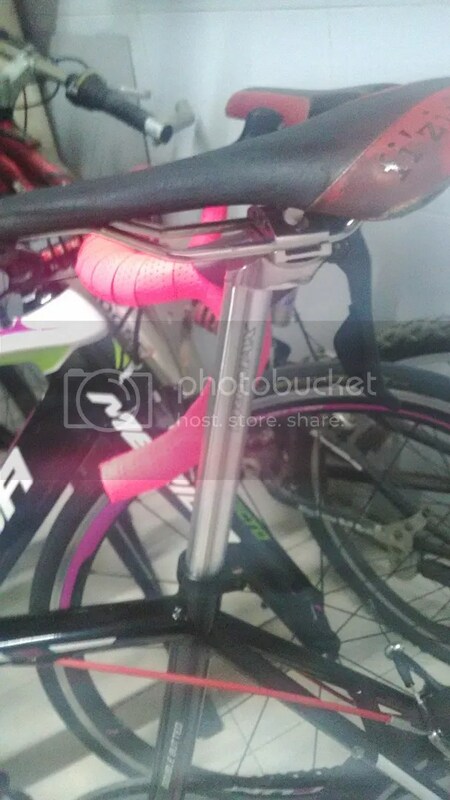 The seatpost are promax branded. They are good value and are surprisingly easy to adjust.It is a one bolt design with the cradle seating on the seatpost and a clamp goes over it. To adjust just shift the cradle up and down and it is done! Simple and easy to adjust. 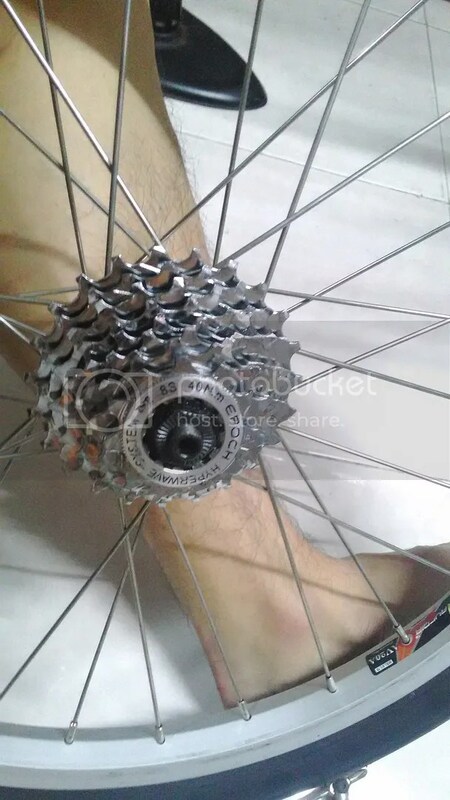 The drive train consists of a KMC Z72 chain, Promax square taper crank(with a chain guard), mated to a Shimano Claris rear Derailleur and a epoch hyperwave 11-25 cassette. I swapped the cassette out as I prefer using a name brand cassette and though it looked shiny(and cheap), I would rather use my old PG850. I like that they spec the rather new Shimano Claris rear derailleur. The shifting isn’t exactly the best with the old shifters but the bike is too new to tell if its cable adjustment or equipment mismatch or just poor tuning. The ProMax is not exactly the best crank out there, I could feel it flexing when I mashed it really hard. 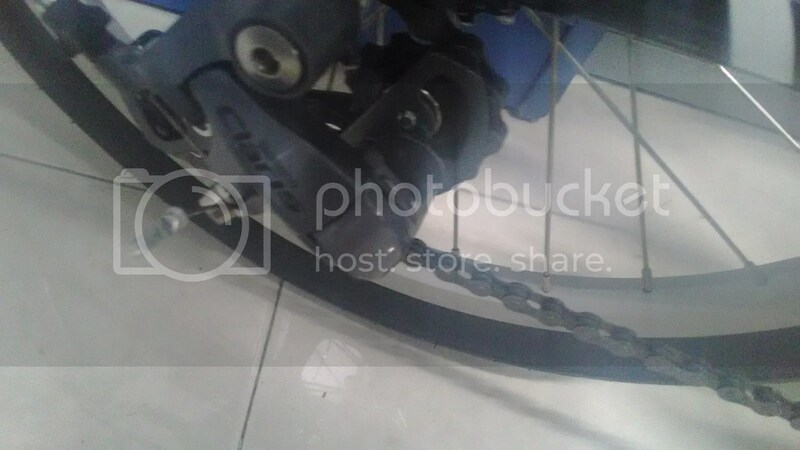 The chainguard is there to prevent the chain from falling off, but if the derailleur is properly tuned, such incidents should not happen. It looks abit flimsy, but then again the bike doesnt costs alot of money! The bike came with Innova Tires and Quando wheels. The tires are rather comfortable due to its width. The wheels however are is a big let down. Wheels are a let down in my opinion. 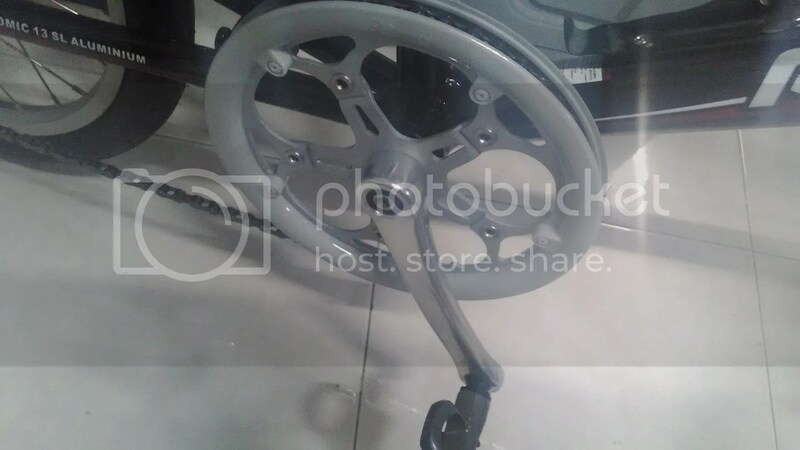 Wheels are supposed to be relatively true out of the box and smoothness of the bearings is a secondary issue. This wheels, however are not true and the bearings feel rough. The bearings feel is very noticeable, particularly at high speeds (over 30kph) and the wheel was untrue enough that brake rub was very noticeable even when the v brakes are calibrated. 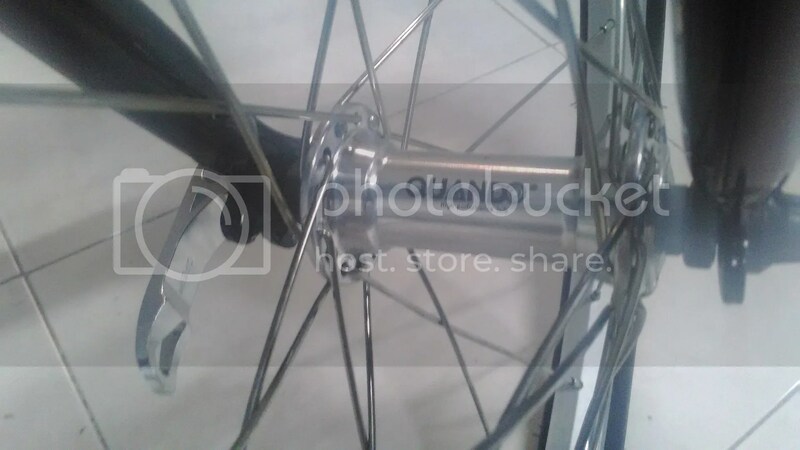 The hubs looks shiny, but it doesnt perform as it is supposed to look like. While the hub reads. “Quando, High Performance Hub” It definitely doesn’t feel high performance to me. This is my first foray into the world of mini velo but despite the drawbacks, I am still quite happy at the purchase. 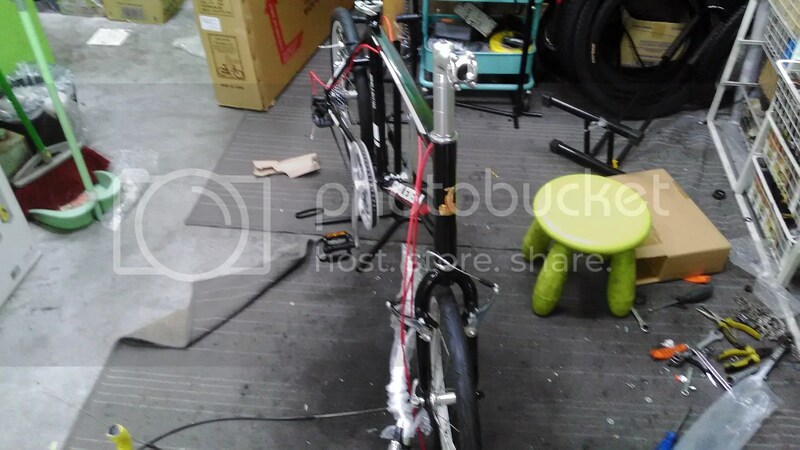 One shouldn’t purchase the bike thinking that it will perform like a S$1K bike, and it isn’t. The frame offers great upgrading options should you choose not to use their stock parts. If Raleigh is able to offer their frames separately, that will be good (around the 150-250 price point will be good) I am considering future upgrades to improve the flaws. For now, I just have to wait for the magical item that makes the world go round to regenerate. Compared to its even cheaper brother the MV7, the mv8 comes with a freehub which offers a relative cheap upgrade path to 9,10 speeds if one has enough spare parts from other bikes. Frame has variety of mounting points for different types of brakes and additions like rack and fenders. Relatively long frame means that it is stable. Fat wheels means that potholes and drain covers have no problems. V brakes offer relatively strong braking power, good for those who are new. Raleigh, or any other companies mentioned did not pay nor sponsor me for this post. The bike was paid for using the author’s cash. I am not affiliated nor working with any of the companies mentioned. The above experience is the author’s own experience and end user experience may be different. 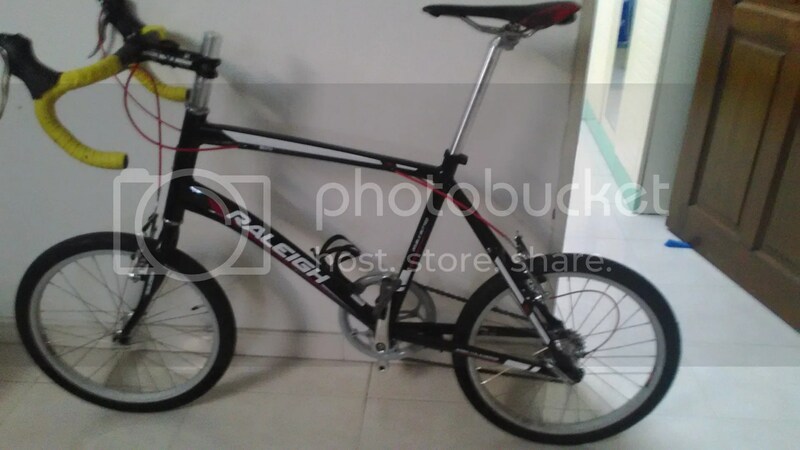 This entry was posted in Raleigh and tagged Epoch, Innova Tires, mini velo, mv7, mv8, Pro max crankset, Promax, Promax V brake, quando hubs, Quando wheels, Raleigh. Bookmark the permalink.